Supporting the TIE campaign at 2016 Pride Parade. We support many local and national organisations. 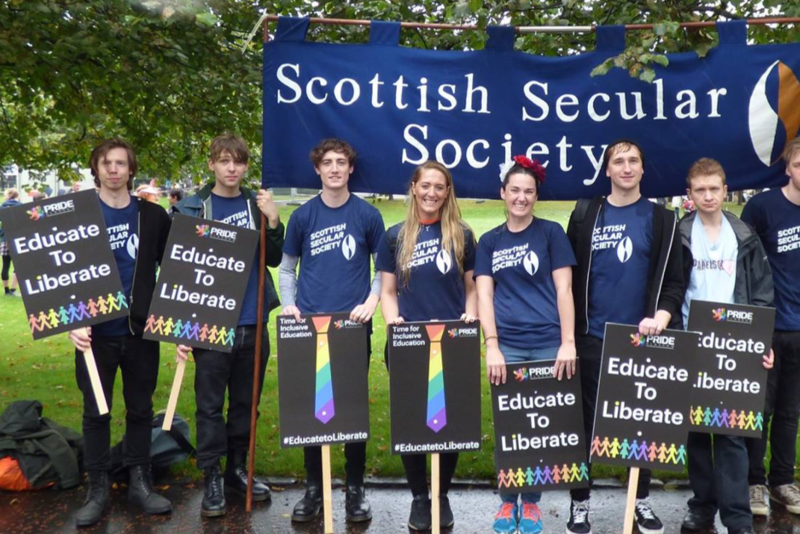 A secular Scotland benefits everyone. Monthly speaker events at the Annie Besant Lodge. 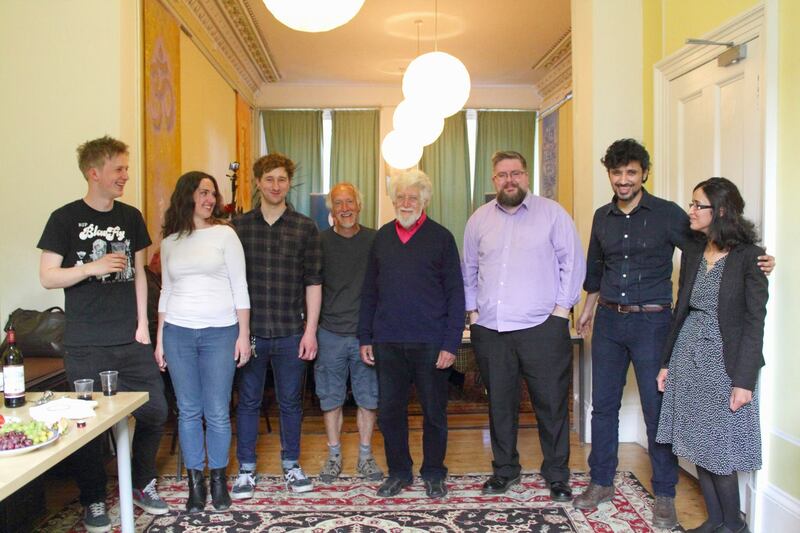 Our monthly meetings are held on the first Thursday of each month in the Theosophical Society Building near Charing Cross. We’ve hosted academics, authors, politicians, faith leaders, educators, and more at our monthly speaker events. Speaker events are always free. 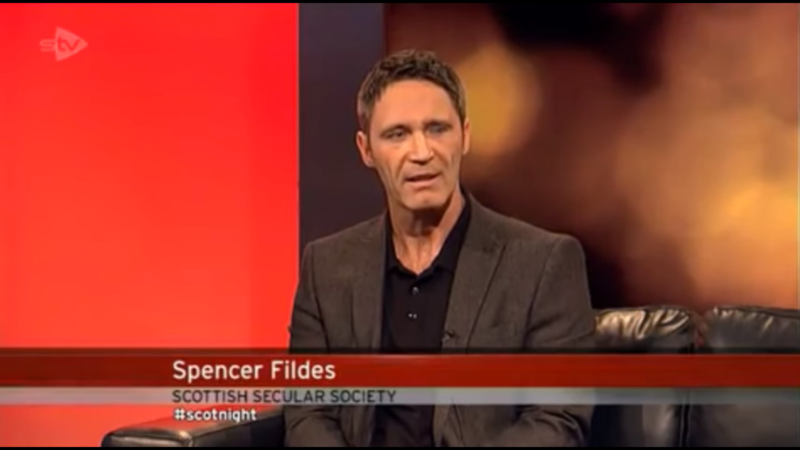 Spencer Fildes discussing religious freedoms on STV. We make a point of having our voice and the voices of our community members heard. Whether appearing before Parliament, in consultation with MSPs, or making an appearance in the media, we ensure a secular voice remains part of the conversation. 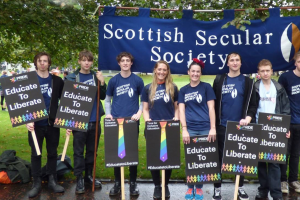 Become a member of the Scottish Secular Society.